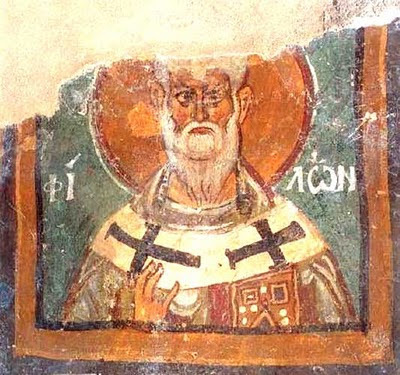 Saint Philon (Philonas) is the first bishop of Karpasia (Karpas or Kalpasios) and the saint who converted the people of Karpasia to Christianity in the fourth century. Information on the life and work of Saint Philon is limited. From historical sources it is indicated that he was born shortly before 350 AD and that he was ordained bishop of Karpasia in 401. From the synaxarion of St. Epiphanios of Salamis (May 12) we learn that he was a deacon from Rome. The sister of Emperors Arkadios in the east (395-408) and Honorius in the west (393-423) had fallen ill. She heared that God worked healings through St. Epiphanios, therefore she dispatched Philon to Cyprus to bring her healing. When Philon came to Cyprus he was ordained bishop of Karpasia by St. Epiphanios. 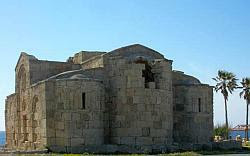 In the early Byzantine period, Karpasia belonged ecclesiasticaly to the Bishopric of Salamis. 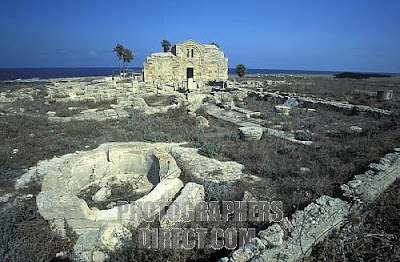 However, by the end of the fourth century it was organized into an episcopal district which had its seat in the ancient city of Karpasia and having as its first bishop Saint Philon. 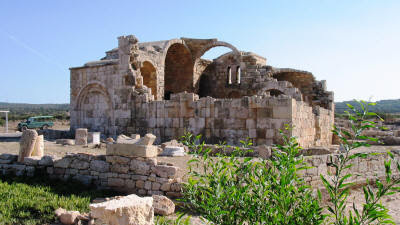 Saint Philon died and was buried in Karpasia. He was probably buried in the church, which tradition attributes to him. 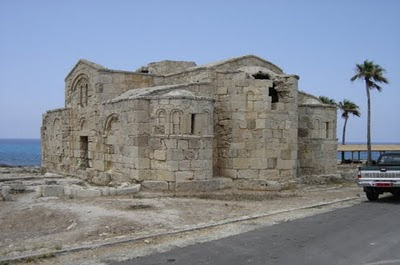 The surviving church of Saint Philon is located about 3 km from Rizokarpaso and was built on the ruins of an older church destroyed by Arab pirates. 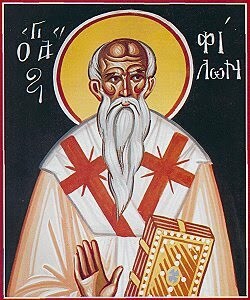 According to the Souda, St. Philon wrote a commentary on the Pentateuch and the Song of Songs. Lord Jesus Christ my God, Who for the salvation of humanity came down to earth and put on the flesh of your servants, and suffered many temptations from the world, and You were crucified, buried and rose again, saving humanity. By Your economy do so again now, that these deluded people may be saved, who were deluded by the devil. 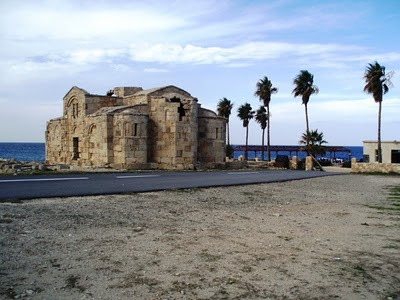 In the centre of Dipkarpaz, if you leave the road that takes you along the southern coast of the Karpaz to Apostolos Andreas Monastery, and take the northern coast road instead, you will end up at Agios Philon. The church comprises a three-part apsis and a courtyard surrounded with columns. 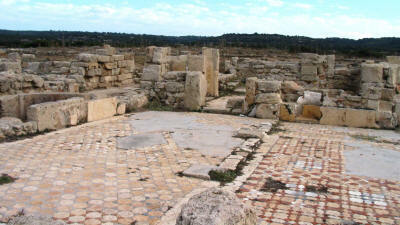 There are colourful mosaics on the floor. Traces of the old harbor wall can still be seen off shore, but the majority of the village is now under sand dunes to the west of the church.